Next up is one of the most loathed horror sequels in history: 1994’s “The Return of The Texas Chainsaw Massacre,” which was later retitled “Texas Chainsaw Massacre: The Next Generation” for home video release. 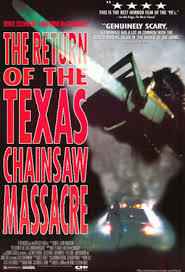 “The Return of The Texas Chainsaw Massacre” was written and directed by Kim Henkel, who co-wrote the original “Texas Chainsaw Massacre” with Tobe Hooper, who is notably absent from involvement with this film. The special effects on the film were provided by a handful of folks, including J.M. Logan (“The Dentist,” “I Know Who Killed Me”) and Andy Cockrum (“Sin City: A Dame To Kill For,” “Spy Kids 2”). 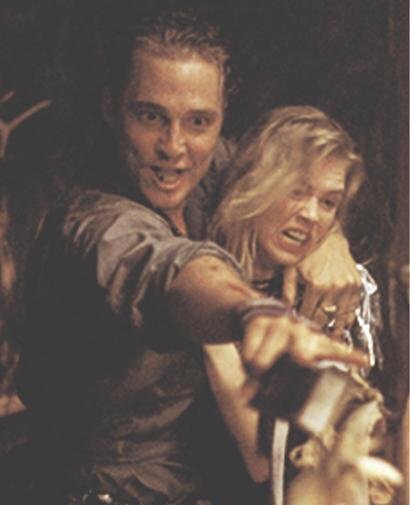 The cast of “The Return of The Texas Chainsaw Massacre” features a number of familiar faces, not the least of which are Matthew McConaughey and Renee Zellweger, who both appear before they saw significant success. Robert Jacks takes over in the famous role of Leatherface, and was the fourth person to play the character in as many movies. He had very little experience as an actor, appearing only briefly in Richard Linklater’s “Slacker” a handful of years earlier. Unfortunately, this was his last acting credit, as he died in 2001 at the age of 41. Interestingly, he also composed the music for the film. The story of “The Return of The Texas Chainsaw Massacre” centers around a handful of high school students who become stranded in rural Texas. As you would expect, they wind up on the wrong side of an eccentric family of sinister killers, who begin hunting them down one by one. “The Return of The Texas Chainsaw Massacre” received two limited theatrical releases in 1995 and 1997, barely grossing $180,000 combined. The budget was low (estimated around $600,000), but the very low gross and limited release was undoubtedly a disappointment. 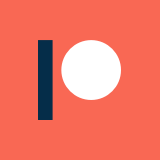 Reception to the film was incredibly negative: it currently holds an 18% audience score and a 17% critic score on Rotten Tomatoes, along with a 3.0 rating on IMDb. Criticisms of the movie often mention the performances as one of the key issues, particularly on the part of McConaughey. Personally, I thought that his performance teetered precariously between being genuinely intense and astoundingly hammy, but I thought that it kind of worked for the character. Renee Zellweger, on the other hand, is just kind of awful. Then again, all of the actors had to deal with the writing on this movie, which was at best incomprehensible. I think that a lot of criticisms of this movie make a bit too much fuss over Leatherface, or at least for the wrong reasons. He certainly isn’t intimidating in this movie, which was a serious misstep, but I didn’t think that it had anything to do with the fact that he was in drag. He could easily still have been intimidating regardless of the wardrobe: the problem was with the character’s writing, which had his spending most of his screen-time cowering and wailing. 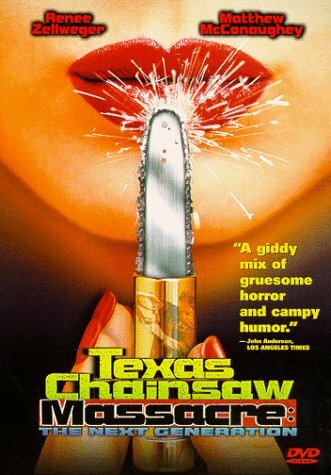 I saw an interesting argument online that “The Return of The Texas Chainsaw Massacre” is an early example of ‘meta-horror,’ in the same vein of “Cabin In The Woods” or “Scream.” There are a handful of lines early on that seem excessively prescient, but I didn’t think that it went much beyond that. Even the Illuminati twist doesn’t quite go far enough for ‘meta-horror’ case to hold much water for me. Interestingly, “Return” did release in the same year as Wes Craven’s “New Nightmare,” which could be considered the first ‘meta-horror’ film. 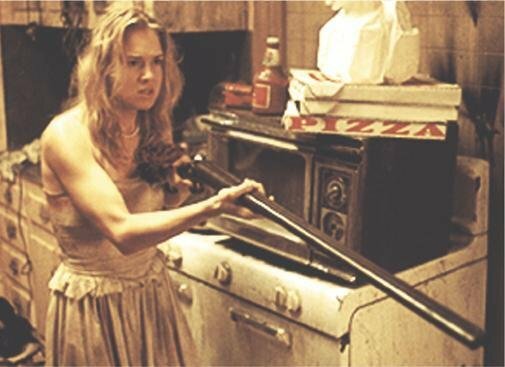 There are notably a lot of attempts to repeat shots from the original “Texas Chainsaw Massacre” in “Return,” which clearly rubbed many faithful fans in the wrong way. The story also ties into the original film loosely with the final shot, despite seemingly discounting the rest of the franchise’s history and continuity. Worse yet, the film lacks the artistic and tense cinematography of the original, coming off as a very cheap (if not bankrupt) knock-off of what is a treasured classic in the minds of many. 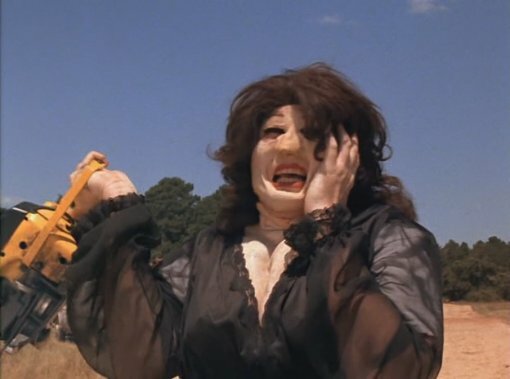 For reasons I am not entirely clear on, “Return of The Texas Chainsaw Massacre” drifts by design into the realm of comedy on more than one occasion. There are plenty of horror movies out there that have pulled this off effectively, but the “Texas Chainsaw” franchise has never been among them, which makes the movie all the more perplexing. The ending of this movie is very strange, to say the least, and is probably the most complained about element of the film. Every major horror franchise seems to have at least one chapter that the world agrees to forget, for one reason or another. Remember Jason being a demon? Or Michael Myers being the result of an occult curse? Well, I’ll admit the “Texas Chainsaw Massacre” Slaughter family being involved with the Illuminati is weirder than those two examples, but still, I think that the point stands: “The Return of The Texas Chainsaw Massacre” is the black sheep of this franchise, and they all have at least one. Overall, “Return of The Texas Chainsaw Massacre” was ill-conceived and poorly executed, resulting in a thoroughly baffling film experience. However, I think that it is also totally worth watching, particularly for bad movie fans. 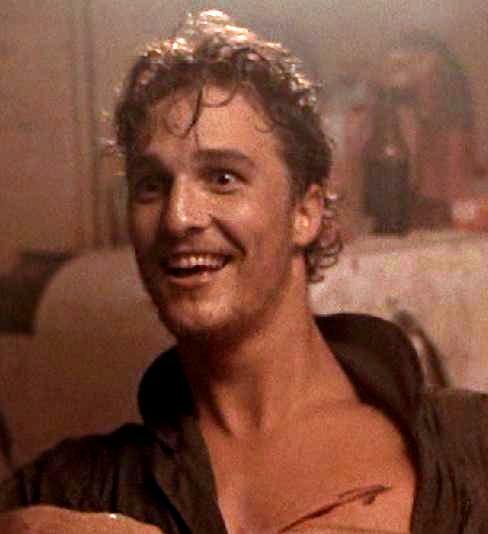 For no other reason, it is worth seeing McConaughey’s thoroughly over-the-top performance to appreciate just how far the guy has come since the dawn of his career.